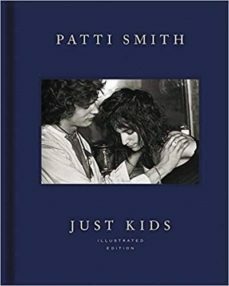 Patti Smith’s National Book Award–winning memoir, now richly illustrated with new material and never-before-seen photographs Patti’s Smith’s exquisite prose is generously illustrated in this full-color edition of her classic coming-of-age memoir, Just Kids. New York locations vividly come to life where, as young artists, Patti Smith and Robert Mapplethorpe met and fell in love: a first apartment in Brooklyn, Times Square with John and Yoko’s iconic billboard, Max’s Kansas City, or the gritty fire escape of the Hotel Chelsea. The extraordinary people who passed through their lives are also pictured: Sam Shepard, Harry Smith, William Burroughs, Allen Ginsberg. Along with never-before-published photographs, drawings, and ephemera, this edition captures a moment in New York when everything was possible. And when two kids seized their destinies as artists and soul mates in this inspired story of love and friendship.